As if to finish the summer with a bang, many bands have published so much good music that it truly takes all three ears to listen to it all. Enjoy amazing fresh psychedelic rock from a very international lot: the Mexican Exploded View, Swedish bands Ultra Satan and Sudakistan, Californian Send Medicine and Mystic Braves, Finland’s very own Jukka Nousiainen and Warp Transmission, Norwegian Bjørn Torske, Arizonan The Myrrors, Holydrug Couple from Chile and finally The Limiñanas from France, whom we get to see this weekend in Eindhoven Psych Lab. we’ve both been a bit busy with all sorts of odds and ends, but collecting new music never stops. So this is a perfect moment to embrace new psychedelic music in form of our FRESH PSYCHEDELIA Spotify playlist. Enjoy new music from Finland’s own neo psych kings Death Hawks, the magnificent Wooden Shjips who are finally back with a new album, Druk 11000, Desert Mountain Tribe and Najma Akhtar (don’t you just love when bands succeed in combining Indian influences with western psych rock? ), Goat, The Asteroid #4, The Babe Rainbow from Australia, Finnish prog-rockers Sammal, Gulp and Mertsi’s band crush Love’n’joy. Thanks for all the music you’ve sent us during spring, keep it coming, we love to hear it. Dear followers, here’s another bunch of new great psychedelic rock music that we’ve add to our FRESH PSYCHEDELIA Spotify Playlist. It includes songs from RF Shannon (one of Mertsi’s new favourites), Swedish Medistation (which is a side project for The Orange Revival’s Eric Strand), Ukrainian psych prog rockers Love’n’Joy, Sweden’s grand old man Ebbot Lundberg, MIEN, Nest Egg (of whose great new album we’ll cover in a review as soon as the LP arrives), and White Manna. FRESH PSYCHEDELIA playlist will soon hit 100 tracks, and we’ll start to remove ”surplus” songs starting from the oldest ones. That way the listeners can count on the music’s freshness. (Fun detail, the first added songs to the playlist date precisely to a year ago. The time flies and what not.) Make sure to add your favorites to your own playlists before they go! Again, thanks for your support. Let’s enjoy the music. As festival season turns to autumn, bands are once again releasing more music. 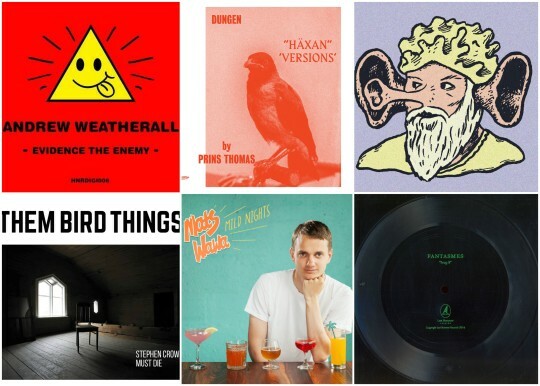 The new set of psychedelic song include tracks from Finnish Them Bird Things (with their stylish Manfred Mann cover), Swedish Dungen (versioned by Prins Thomas), Mats Wawa (en annan Svensk), the Puerto Rican Fantasmes, and finally a new single from the hyped-up Andrew Weatherall album. Subscribe to the playlist and enjoy psychedelic treasures while they are still hot from traveling through the atmosphere! And warm thanks to our 20 first subscribers, we hope you and your friends will continue enjoying the FRESH PSYCHEDELIA sounds. Blessings. Our latest additions to FRESH PSYCHEDELIA Spotify playlist, the ever-fresh collection of world’s best psychedelic rock music, are here. 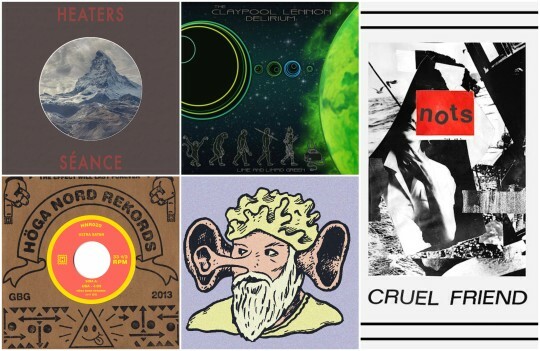 Enjoy new delicacies from Ultra Satan, Nots, Beaches, Heaters, The Claypool Lennon Delirium (covering King Crimson) and King Gizzard & The Lizard Wizard’s new mellow jamming with Mild High Club.